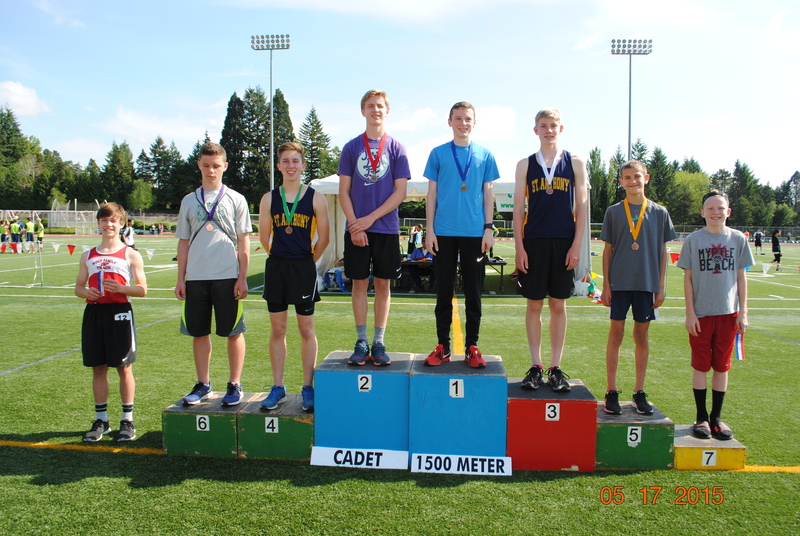 Ethan Reese (St. Pius X) edged out William Sheaffer (West Hills Christian) by less than a second when he posted a 4:33.72 final against Sheaffer’s 4:34.66 close second in the CYO Cadet Boys 1500 Meter Run Sunday May 17th, 2015 at the CYO Meet of Champions at Jesuit High School. The race had people on their feet as the boys fought it out all the way to the end of a great race. Steven Rowland (St. Anthony) was a close third with a time of 4:35.17. 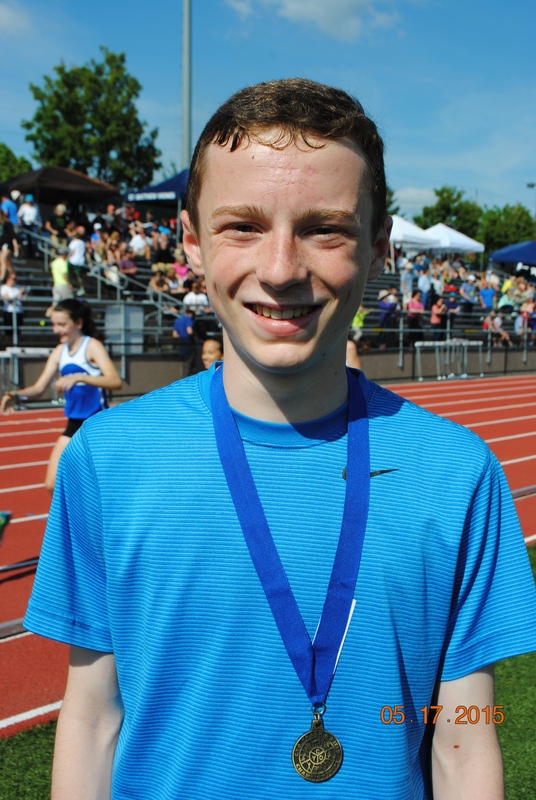 Ethan Reese from St. Pius X CYO Club takes first place in the 1500 Meter run at the CYO Meet of Champions Sunday May 17, 2015 at Jesuit High School.